oomph. 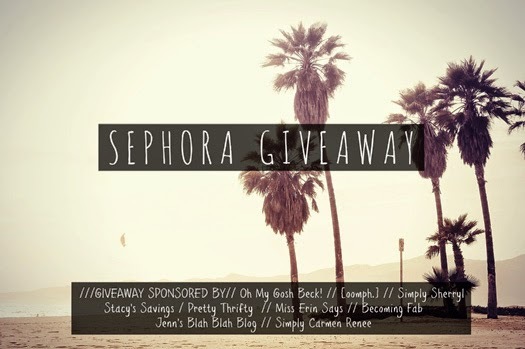 : oomph [remix]. sporty sweatshirt. You put together such great outfits! I would probably wear the white denim one. (oomph [remix]. sporty sweatshirt.) What a shek and sassy look all in one, my daughter would love this outfit! Hooray! I love remixes! I think this sweatshirt would be so much fun to style. I love that you stepped out of the norm this time with the leopard pants! Looks great! I never knew leo print could look this cool! super love how you combined everything! I love it with the white pants but you rock it no matter what you've paired it with! You are OWNING this look! 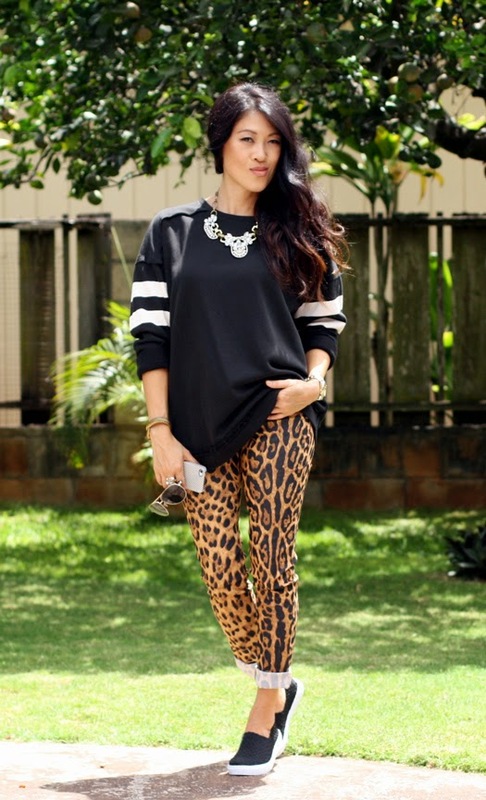 LOVE the leopard print skinnies! 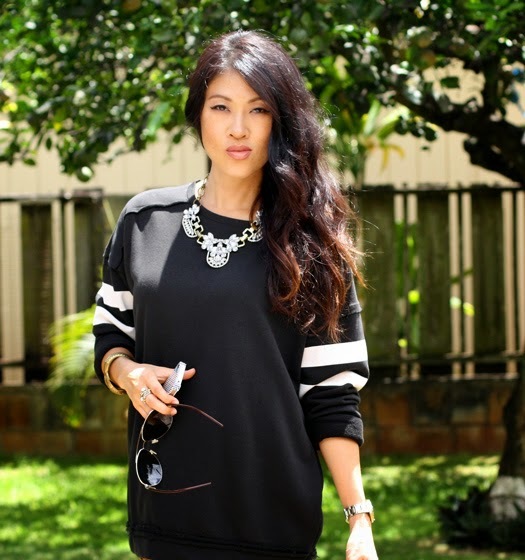 Awesome sweatshirt, and love all the ways you styled it! 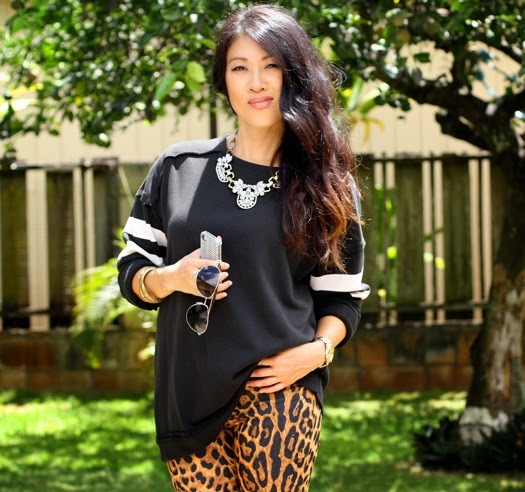 Ooh, I love it with the leopard pants! What a fun take! I didn't think such a sporty sweatshirt could be so versatile! 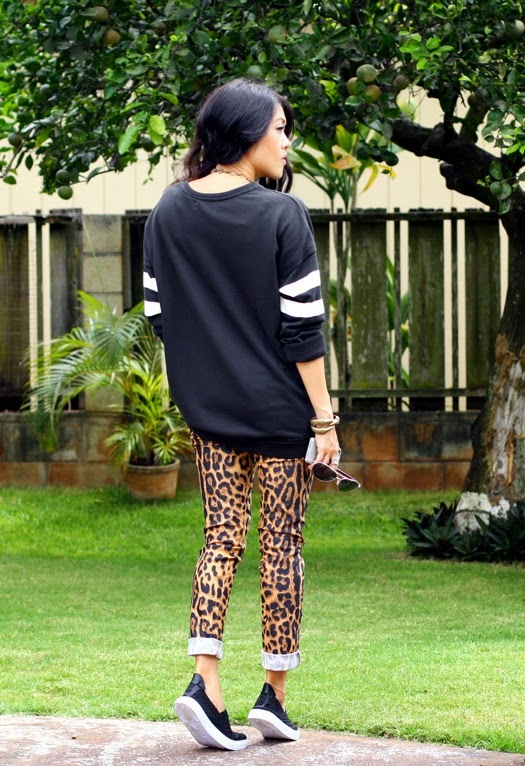 I love it with the leopard pants and slip ons! 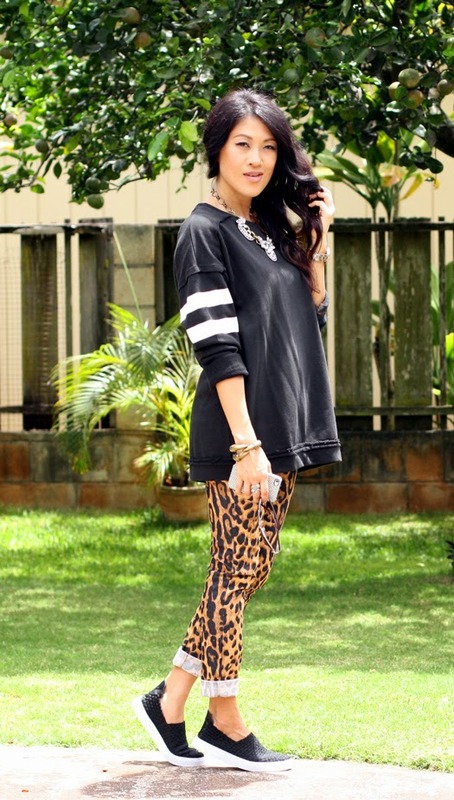 I think it looks great over-sized and I love it with the leopard pants! Wow this outfit is just perfect!!! It looks so good and it rocks with those leopard pants. I like all three of your looks and how you styled the sweatshirt. So so cute!! I think the sporty sweatshirt is ok but the bottoms makes the biggest difference in the appearance. I like the leggings and skinny jeans for the sweatshirt pic. i love it with the skirt and cross necklace! I love the pencil skirt look. I would never think to pair those two pieces together but it really does work.